Employees in Bengaluru are earning an average annual salary of about 10.8 lakhs, says Randstad Insights. Pune stands second at Rs 10.3 lakhs. 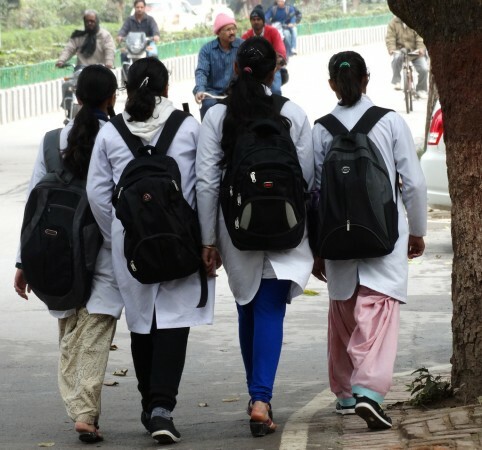 While emerging new age technologies such as artificial intelligence, automation, and blockchain are gaining popularity across the globe, the profession of medicine offers the highest salary in India. Banglore takes a lead in being the highest paid city in India and pharma and healthcare is the highest paying industry for talent in India, says a report. Employees in Bengaluru earn an average annual CTC (cost to company) of about 10.8 lakhs, says Randstad Insights, the research, and analysis division of Randstad India in a report. The report looked at 1 lakh jobs across 20 industry verticals and 15 functions. India's IT capital- Bengaluru was the highest paid city in the country in Randstad's report in 2017 as well. Pune stands second at Rs 10.3 lakhs, followed by Delhi-NCR and Mumbai with an average annual CTC figure of Rs 9.9 lakhs and Rs 9.2 lakhs respectively. Chennai (Rs 8 lakh), Hyderabad (Rs 7.9 lakh) and Kolkata (Rs 7.2 lakh) are also on the list of Indian cities paying the highest average salaries for professionals. Pharma professionals and professionals in the healthcare industry are paid the highest in India with an average annual CTC of Rs 9.6 lakhs across all levels and functions, said the report. An increase in demand for specialist doctors and professionals with R&D skills are considered to be the reasons for the growth of this sector. Professional services comprising management consulting, strategy, accounting, and audit and legal firms— is the second highest paying sector in the country, with an average salary of Rs 9.4 lakhs. Increase in demand for implementation and compliance specialists as a result of the rollout of Goods and Services Tax (GST) is the primary reason behind this, the report said. FMCG, with an average salary of Rs 9.2 lakh is the third highest paying industry. In 2017, FMCG was the highest paying industry in the country. The IT industry offering an average annual salary of Rs 9.1 lakh and infrastructure, real estate and construction with an annual salary of Rs 9.0 lakh are in the fourth and fifth position in Randstad's list. The report reveals that specialist doctors get the highest salaries, with an average annual CTC of Rs 18.4 lakh, followed by solution architects at a CTC of Rs 15.1 lakh, product engineering specialists at Rs 14.8 lakh and blockchain technology experts at a CTC of Rs 14.6 lakhs.